Stylish Michael Kors model with a round PVD rose plated case, set around a black high-visibility dial. The dial features rose colour baton hour markers, rose hands, chronograph and a date function. The piece fastens with a broad black rubber strap and is powered by a quality quartz movement. 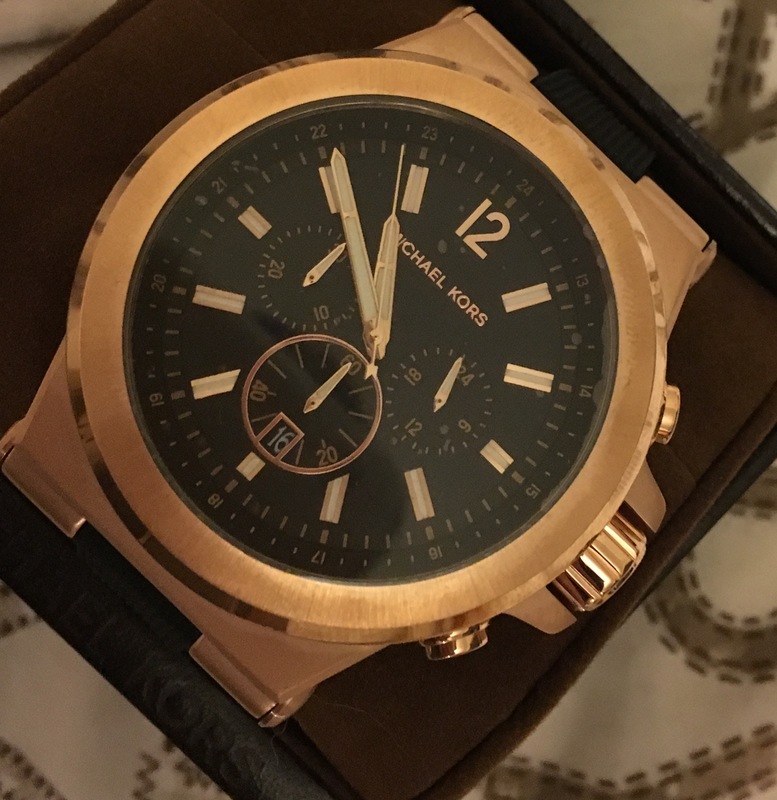 I purchased this watch for myself to be used as a dress watch nights out and for best I have to say I was highly impressed with the finish and look of this watch, firstly it feels well made and weighty which I like as I have big wrists. The watch face itself is large but looks classy and expensive with the rose gold, for those concerned about it looking femine it really doesnt. Great price too almost £100 off high street retailers excellent Delivery with a tracker too which is helpful. This is my first time purchasing through the watch shop and on this experience and quality of the product I would recommend them and use them again. 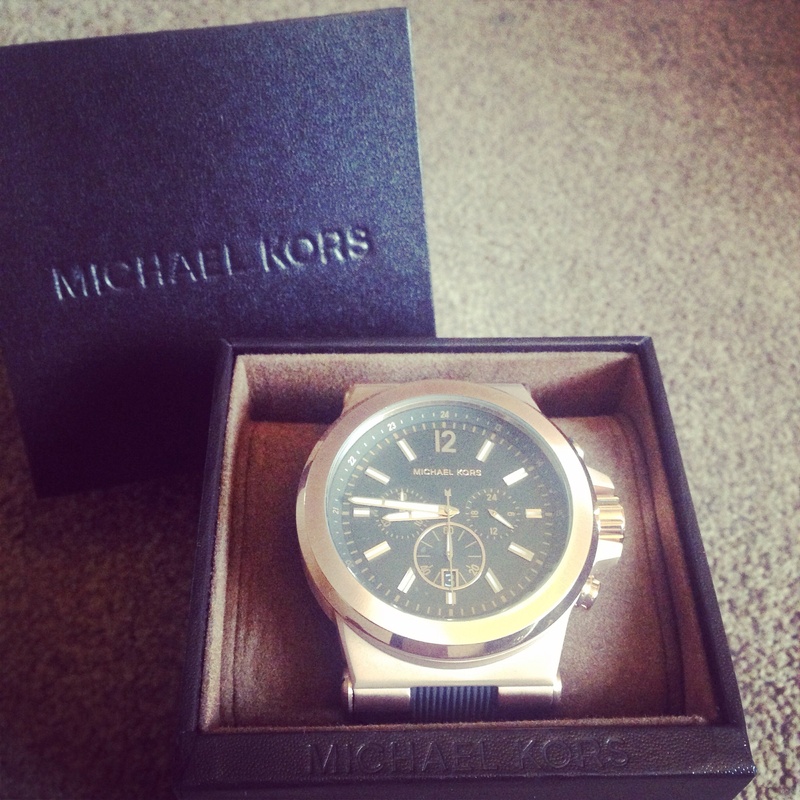 Great quality watch from Micheal kors. A statement watch. Great size and fit. Compliments smart attire during the week, creates an impression off duty on the weekend. Numerous comments from friends & family. Superb delivery from Watch Shop. I was really happy with the watch, it was exactly as I had imagined. I really love this watch. I have many other MK watches but I do have to say this is one of my favourites. I know its a mens watch however it is one I have had my eye on for a very long time. It is quite big on the wrist however it eliminates the fact that I have to wear any other bracelets. I bought this as a treat for myself & I can say it was well chosen. So in my opinion whether youre a femal or male Im sure either one could pull it of. Brilliant watch of high quality, even better in person than online. The face is on the larger rather than smaller size but is a good size, watch strap can be altered depending on wrist size and does not irritate skin. Definitely recommend, especially love the rose gold colour. 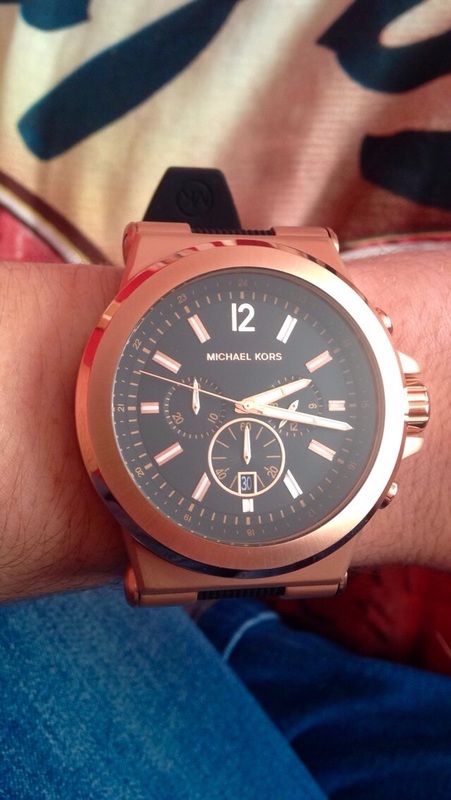 Extremely happy with the purchase on all aspects, from ordering to delivery of the Michael Kors watch. 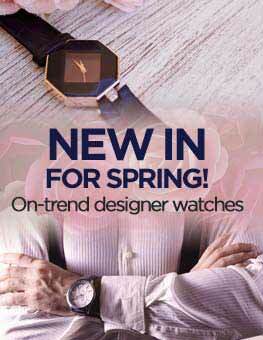 The design, features and quality of the Dylan Chronograph Watch by Michael Kors make it a very desirable time peace. It has been admired by friends and people that cannot help but notice the watch and its outstanding color and face with the useful black strap. The only thing I would point out is that the strap could maybe have another loop to keep the strap tidy once it is buckled, especially for people with a smaller size wrist. Anyway a minor detail that does not affect my opinion of a brilliant designer watch. I would like to add that I have in fact ordered another Michael Kors watch that I hope will be as good as this one. Definitely! Bought this watch as a Christmas gift for my other half. He loved it from the moment he opened the box. t has a good weight to it, is stylish, great feeling strap and it looksgreat. It has a comfortable feeling when wearing it and was a great buy. Cant find any dislikes with it to be honest. Its Michael Kors - so it looks the part. This watch is great. It is solid. Quite a chunky style and heavy. 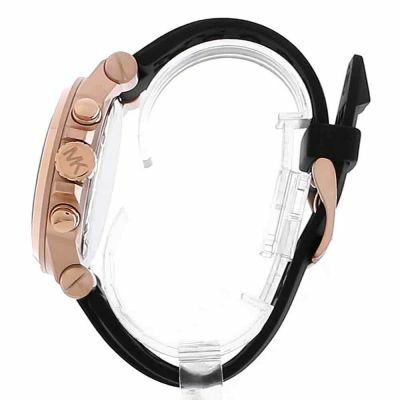 The rubber strap and rose gold give it a trendy look. I love it. I have no comments about this watch, I would say it is worth its price and would definitely recommend it to other people! I have bought this for my partners Christmas and was delighted with it. Its a stunning watch and I am sure it will be much loved when opened on Christmas day. Bought this watch for my husband he loves it. Its a very stylish and expensive looking watch.well worth the money. 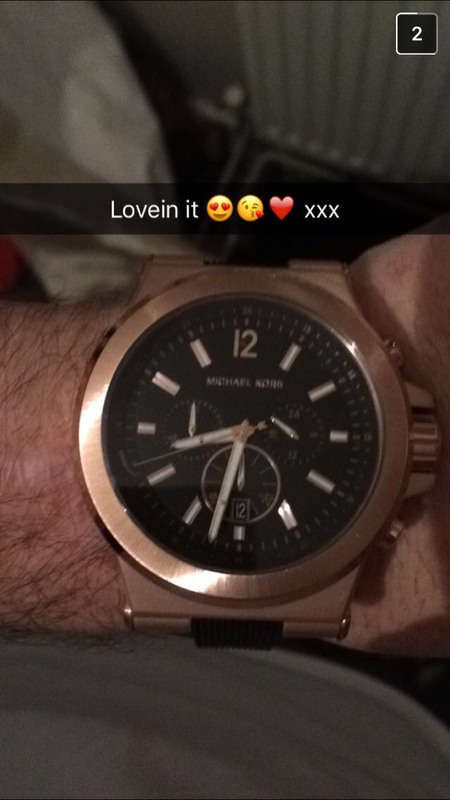 Love this watch it nice and big love the colour of the rose gold, the price was excellent. Fantastic watch . Bought it for my sons 30th birthday . Classy , and smart . He loved it . Highly recommend . Very eye catching beautiful watch! Gotten many complements on it in a few days. Definately an attention grabber! The movement is a pretty cheap japanese quartz movement as the second hand doesnt always accurately hit the minute markers. The lume on the watch is also horribly bad. But this watch is all about looks and nothing else. It also has good weight to it. Only had it for a week so will have to see how it holds up. But im loving the attention so far! DO NOT USE CLICK AND COLLECT! Service rating : I bought this watch to wear at a wedding on a sunday. So I ordered my watch for a click and collect on a friday at goldsmiths and was promised a next day delivery. which was the reason i bought it. I received an email from royal mail saying my item was delivered the next daysaturday around noon. So i went and asked for my item at goldsmiths who told me i had to wait for watch shop to email me saying my item is ready for collection and the woman told me to wait around till 5 for the email. So i waited for hours at the shopping centre and never received the email so i went home dissapointed. I was hoping they would atleast bother to email me sunday so i could atleast collect it in the morning. However they did not email me sunday either. Three days later keep in mind i was promised next day delivery and 48 hours under extreme circumstamces on monday and still no email. So i called goldsmiths and the lady on the phone told me no such item was delivered for me at all and that i should call watch shop to ask whats wrong. This is clearly a lie as royal mail had delivered it on saturday around noon. So i hung up and called watch shop and as it was ringing i received an email saying my item was ready for collection at the very same goldsmiths! So i hung up and went all the way back to collect it. I feel the employees at goldsmiths were simply not bothered to check if my product had arrived or not and i probably never would have got a collection email until i interfered. Overall the watch is very beautiful but i couldnt wear it for the wedding as intended which is very dissapointing! I also feel it is more the fault of goldsmiths than watch shop as they dont care about what they dont get commision for in my opinion. I will never order from here again. Fantastic watch, good quality and excellent, fast service. Price was £70 less than House of Fraser. Delivered to Goldsmiths. Amazing watch, would recommend, looks stunning on my wrist, can be worn with casual or even semi formal outfit. Happy happy happy! Oh, and the price beats all high street sellers! This us a fantastic classic looking watch and the black silicon strap means it can look informal or formal depending on your preference. Buying process was easy and efficient, product is as described - happy with the service and product. Would definitely come back! i just received the watch for my husband and it was awesome. When you look at it,it seems more expensive than the actual price. JUST WOW. Worth It. Easy to use and really professional looking website. 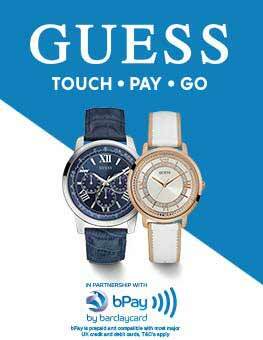 Simple step by step process to purchase the watch. The delivery arrived within the time slot that was advised via text message. Would defiantly recommend to my friends and family. Excellent delivery and arrived in great condition. Cant believe how fast the delivery was, watch was amazing quality. Would definitely recommend. Really pleased with watch. The Rose Gold and Black strap really blends well. Very Masqueline . I am looking for the Same watch in Roase Gold but blue rubber strap and blue dial which I saw at H samuels store in Queensmeer slough. Not available on watch shop site. Excellent service , everything arrived prompt and watch is amazing. Would highly recommend! Excellence value compared to high street prices. I wjjj always check this site before buying any watch. 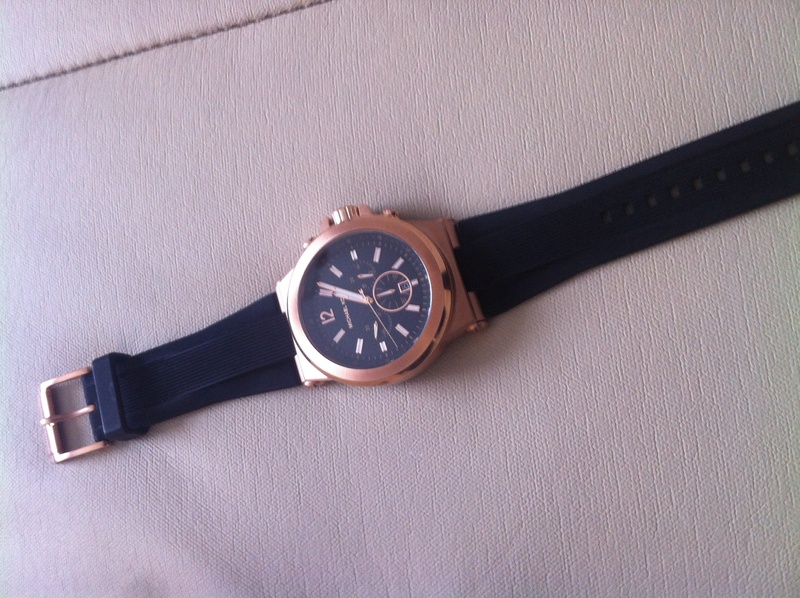 Great quality watch, the rose gold face is contemporary and classy, the rubber strap is comfortable. Great product. The watch is good but its way too heavy. So happy with this order! Soon as it had arrived I put it on straight away to show off when in my local town centre. Most passers made a glance at it and even 3 people stopped to ask about it! 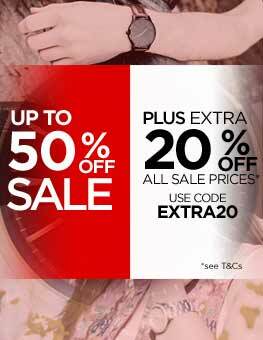 So please and will 100% be ordering from the watch shop again! Superb watch better than expected. And service from watch shop was exceptional. Great looking watch, Husband very pleased with it . 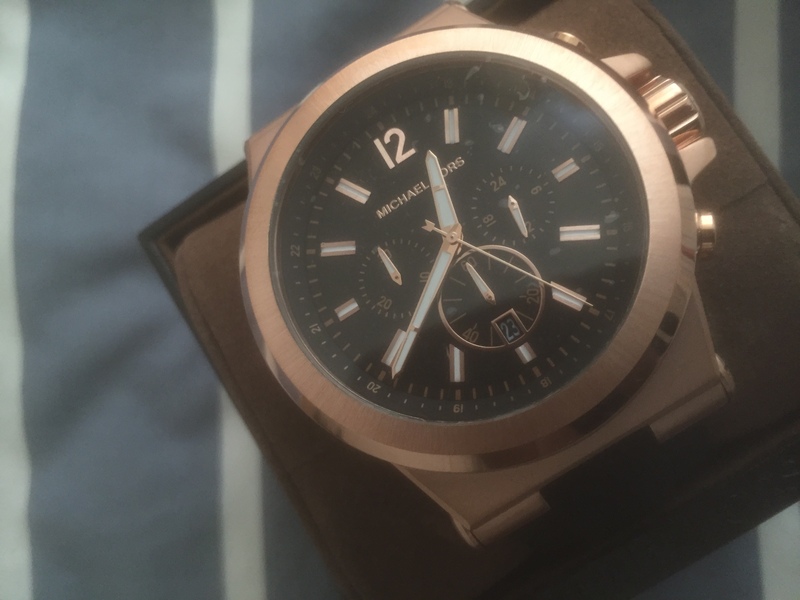 I bought this watch as an anniversary gift for my husband, and he absolutely loved it, its just the type he wanted, Id seen him looking at it in one of the jewellers on the high street, ordered it from watchshop as it was the cheapest, its in Rose gold with a large face and dial. When I first saw it even I thought WOW that looks like a watch. Well worth it. I think the watch is great quality and value for money, it looks extremely smart and simple with the colours of black and rose gold. I was a bit weary that the strap could look tacky with it being rubber, but couldnt look and less tacky. The only thing I would say is that the watch face itself is very big and would look out of place on a man with skinny wrists. Im not normally a watch kind of person and took me awhile to decide upon a watch I truly liked, this watch is just beautiful, the picture just doesnt do it enough justice, the rose gold against the black strap is just stunning, the colours go great together. Im also not one for doing reviews at all... But if your like me and have been searching for a watch and happen to come across this one... Whether its for yourself or for someone else, I would say go for it! You will not be disappointed in this watch. Now a bit about the watch, its a pretty heavy watch when you first put it on and the face is slightly bigger than a standard watch face... However this is not really a issue as I found it very quick and easy to get over the size and weight off it. Its a very eye catching watch to say the least, Ive had many comments about it and every loves the style of watch that it is. So yes Im very happy about this purchase, and I will be recommending this site and watch to others! Also the price is extremely good considering I see this same watch on another site for £229!! Comes in a great box as well and delivery was as it stated. I bought this for my husband for his birthday, he loved it. It looks amazing on his wrist. Very eye catching. Would definitely recommend. As a first time customer, I didnt know what to expect from the Watch Shop. They were excellent! The watch itself is very nice with the watch being a bold gold, it certainly stands out. The strap is made of rubber, which for many may be a problem but, for me, I like it. I read under reviews online and if the rubber strap does brake, they can be replaced, I myself have had no problems after 3 weeks. The watch is ideal for younger males between 16 to 21. Its comfortable and looks good, but the best feature for me is that it is a fancy watch that can be worn for everyday use as well as for formal use! I am very happy with the watch and Watch Shop, I would recommend this watch and their services! Lovely watch, looks very expensive. 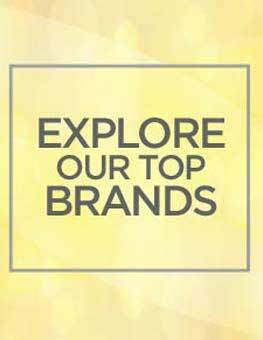 Its big, trendy and very eye catching. My husband has had lots of comments on it already. I bought it for his birthday and he loves it. The rubber strap is very comfortable and the watch is quite weighty and very masculine. 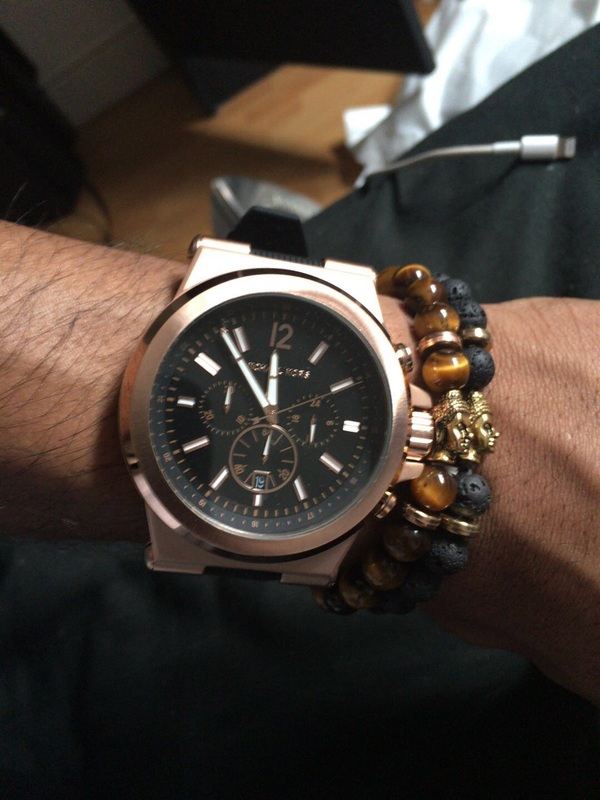 Its fab on the wrist and the rose gold and black goes with anything from casual to black tie. We both love it. This watch is fab. Bought it for my husbands birthday. Very eye catching and trendy. Love the rose gold, it looks much more expensive than it was. The black rubber strap is very comfortable and is obviously self adjusting, unlike bracelet ones. It is a chunky design and has some weight too it so its a statement piece.my husband had friends ask about it because its so eye catching. We both love it. 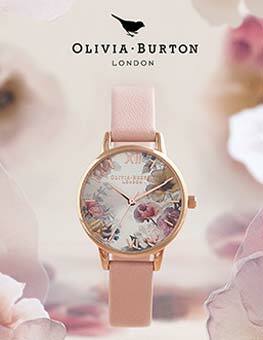 What a lovely watch especially if you are after a rose gold face and black rubber strap. The face of the watch is perfectly sized for a slim rist even though the face is quite large. On the first day of wearing the MK watch I was surprised at how many peoples attention it caught and they were very surprised when I told them it was a MK watch. In all a brilliant watch. This watch is exactly what i have been looking for, it looks really elegant and has an element of a luxurious touch to it, the fit is perfect on my wrist and it matches with pretty much everything that i have got in my closet. I first saw this watch when my brother purchased it and ever since i fell in love with it, after all it is a Michael Kors watch. Bought the watch for my husbands Christmas present. He loved it. This a great looking watch which gives the wearer a touch of style, and in my case I this a lot . It is bold but also discret and with the excellent quality of Michael Kors it is built to last. My most favourite watch I have ever had. Perfect purchase! Saw the advert on tv and came online to see that the price was a good £20-£25 cheaper watch came next day as promised all round im pleased. I was a bit scared after reading others reviews but my experience with the watchshop was 100% perfect! Beautiful watch. I bought it for my other half & he loves it. Even though the watch is bigger than most & my other hands wrist is quite slim it still looks good on. The colours of the watch look great & compliment each other well. The only downside is it doesnt fit well in the box its a bit of a squeeze getting it in & out so will have to purchase a new box. Overall very happy with my purchase. Bought as a present for boyfriend- lovely colour and good size and quality. Easy to read from and use. Would definitely recommend! Excellent. The design is amazing. It goes with every outfit and is extremely comfortable with the sylycom stap. The face is just the right size for I thought it might be too big or too small. I brought the watch for my partner and he loves it. Good quality like I would expect. A smart and stylish watch great for all occasions. I love the unique colour and the fabric strap that makes it great for special events and practical for everyday wear. Purchasing this watch was most certainly a good decision. I browsed through hundreds of watches and decided that this one was the right one for me. As far as looks are concerned, this watch is immaculate. The black strap complements the rose gold exterior of the face exquisitely. As far as the function of the watch is concerned, the large face makes it incredibly easy to identify the time and adjusting is also equally straightforward. Never before have I received so many complements from people on something which I have bought. The black rubber strap feels exceptionally comfortable around your wrist. One issue I have with the watch is the fitting. At times it becomes loose but this rarely occurs and isnt something to be concerned about if youre contemplating whether to buy the watch. I would absolutely recommend this watch to anyone who Is thinking about buying it. Bought as a gift for my DAUGHTER for her 21st and is exactly what was required - good looking watch although extremely big - seemingly that is the fashion these days! Allround beautiful watch a real eye catcher, i love the big face really stands out, the watch is a little heavy but after a while you do get used to it, the rubber strap is so nice on your wrist the colour is so eye catching everyone will notice you have a new watch, rose gold with the black strap goes so well, A very good buy. Great timepiece. Classy and elegant. Highly recommend to anyone with good taste. 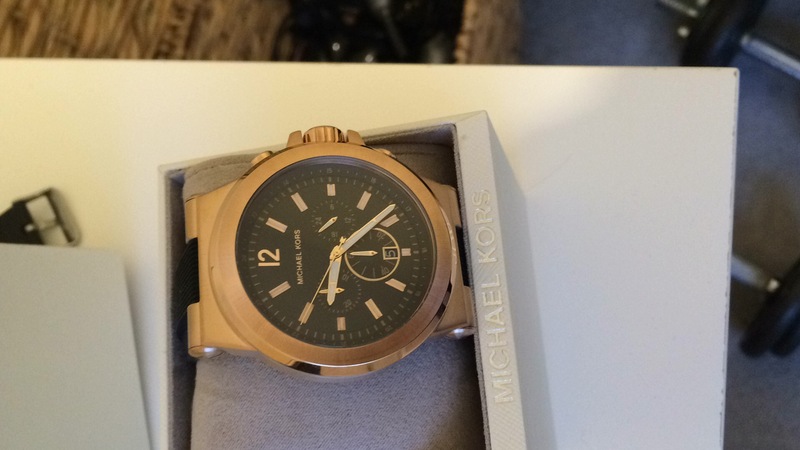 I purchased a mens Michael Kors watch for my son who was 18 last week. 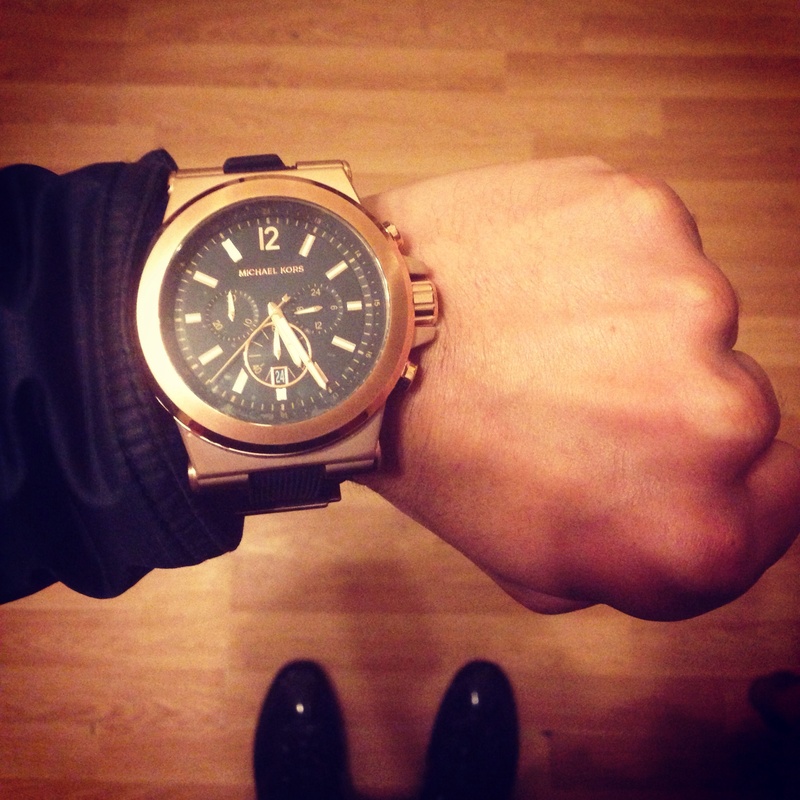 The watch is amazing, it looks very classy and expensive considering the amount I paid for it. It boasts a rose coloured face and a black rubber comfy strap which prevents irritibility and suits the face of the watch exceptionally. I had researched and priced this watch with various retailers and am certain I got the best value for money, no doubt. I couldnt be happier with the watch and the fast delivery of it! 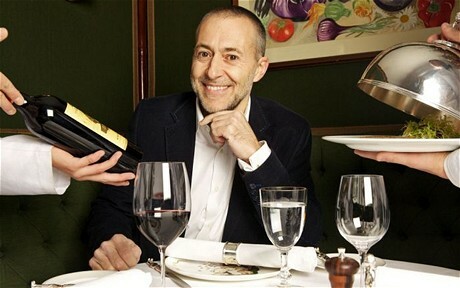 Great product and fantastic company to deal with. Love the rose gold colour and the black rubber strap. looks great day or night. nothing I would change about the watch. Absolutely love this watch. Since buying it, all of my old watches now feel small and rubbish. Before buying i was worried about the silicone/rubber strap but the quality is excellent. This chunky watch is solid and oozes quality craftsmanship. The rose gold metallic colour against black latex is really classy. My brother loved it! 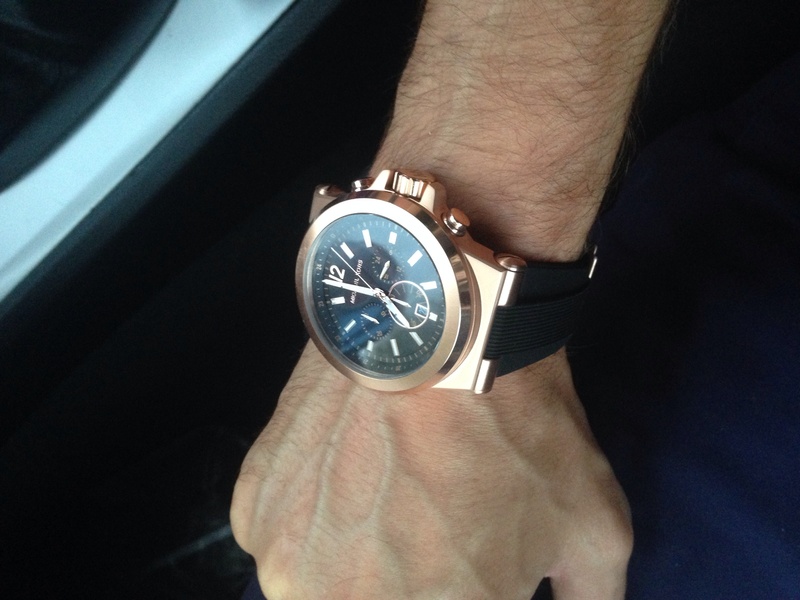 I bought this Michael Kors watch for my boyfriend on his Birthday and he absolutely loved it! I loved the soft rose gold finish juxtaposed by a sporty rubber strap. I felt this was the perfect balance of masculine and feminine and fashionable and sporty to perfectly suit my boyfriends tastes. I must admit the rose gold finish does look much better in real life than in the pictures however. And I am extremely happy with the great value for money it was at such a great price! I looked elsewhere as well and this was definitely the cheapest! Thanks guys! It a very good watch . I lot of people as me where bought it and told them it from watch shop . Really nice, feels good around the wrist. Fashionable and reasonable price. Definitely recommend to a friend! I purchased this product and I absolutely love it. The look and quality of the watch is fantastic and feels like a more expensive item. The colour is stunning and is enhanced by the strap. I purchased the watch as a gift for my husband. He is very happy with it. The Rose Gold on the face is very unusual and eyecatching. The face is a good size and the wrist band is a black rubber type which is very comfortable. The watch is fantastic, as described and much cheaper than anywhere else. It does have quite large face, and is quite heavy so be warned, its not for skinny wrists. But this just shows the quality of the watch. The stopwatch feature is easy to use and really handy. Its easy to read the time and the date is a good size. The only thing that would make it better is an additional loop on the strap. The product was excellent, couldnt complain! The delivery service was fantastic! The watch was bought for my partner this christmas and he loved it. The rose gold of around the face looks stunning and sets the black of the watch off well. The silicone strap is comfortable for the wrist as the watch is quite heavy. First of all great service, The watch is absolutely stunning and the styling arlready had comments where I purchased the watch. Could not fault the service especially the next day delivery service on Christmas Eve. Delivered next day before 1pm - brilliant! Price ALOT less than highstreet retailers/jewellers! Xmas gift for my partner, he loved it. Large face, very masculine watch.. stands out, the weight & appearance looks worth more than what I paid. Very happy. Is everything that he likes in a watch . Heavy,chunky with a large face just like him. Bought this watch for my husband and he was absolutely delighted with it, the picture online really doesnt do the watch justice. Great watch, it looks totally different from the website, looks more slick, is a heavy watch but looks great! If you want people to notice you made a purchase then this is the one it definitely shows that you have invested in something new! Product as described, user friendly and easy to navigate website. Very fast delivery. The watch is perfect! Looks very expensive and excellent quality! Its going to make the perfect Christmas present!! Beautiful watch with durable black adjustable strap and rose gold face. Lovely and heavy. Looks great on and perfect for day to day wear. This watch looks so good in the flesh, if you love a chunky watch this is definitely a good choice. The rose gold case is perfectly offset by the black silicon strap and dial. The mix of the brushed and polished finish gives it such a luxe look it looks and feels like its worth so much more than it is. One of the things I love about the watch is the buckle, I bought this as a gift and the fact that it has a buckle instead of a deployment clasp means he can wear it comfortably straight away - no adjustments required! The MENS MICHAEL KORS DYLAN CHRONOGRAPH WATCH MK8184 was purchased as a gift, however I have also tried on this watch. The look at style is amazing and the fit feels great.i wasnt sure about the rose colour when I ordered it but its a very mellow colour and easy to adapt to! The rubber wrist strap gives it that feeling of comfort and security like it isnt going to fall off. The dial is thick so as long as you like the chunky watch you will be fine! All in all a very good watch and very much worth the purchase. Just hope the person receiving the gift likes it. 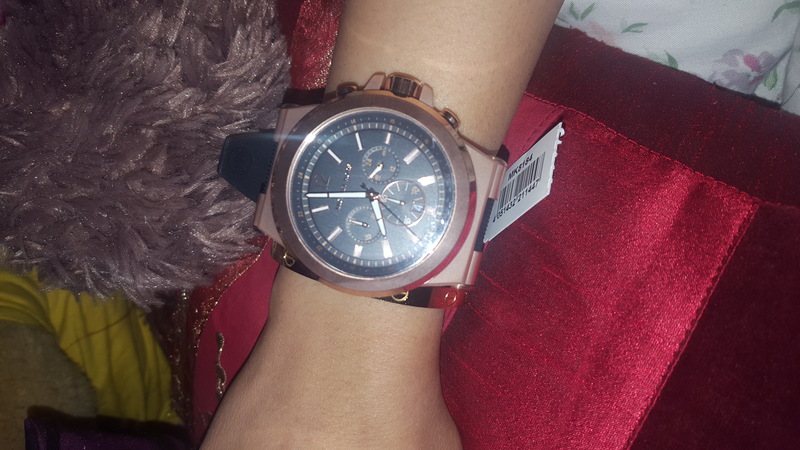 I bought this watch for boyfriend as an anniversary present, it was the perfect present for him hes always been going about how he wanted one and seeing this watch on this website I I knew it was the one for him. 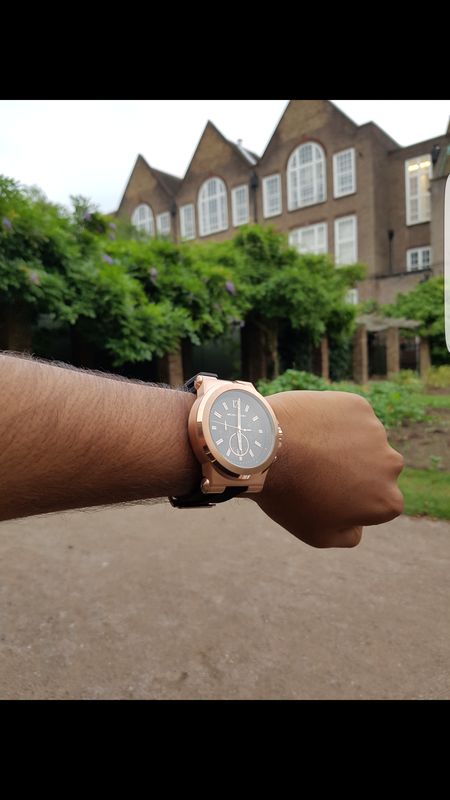 The large rose gold fram is just the perfect amount of showy with the rubber waist strap giving it an more everyday feel with elegance, he loved it! A great present. 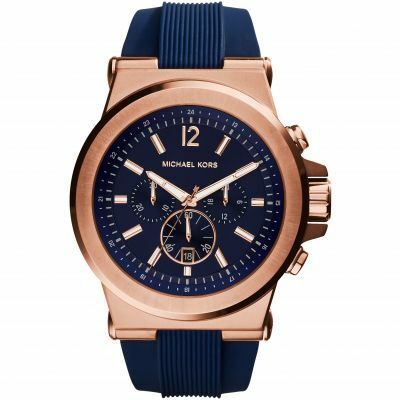 Its great watch and specially Micheal Kors brand that recently been so famous and i love that watch because of rose gold around the watch and that gives a really shiny and glusery view of it and soft robber band its just make it perfect to fit on any hand. And i recommend that to most people and its great item to get it. Absolutely love it. Bought it for my sons 18th. He is over the moon with it. 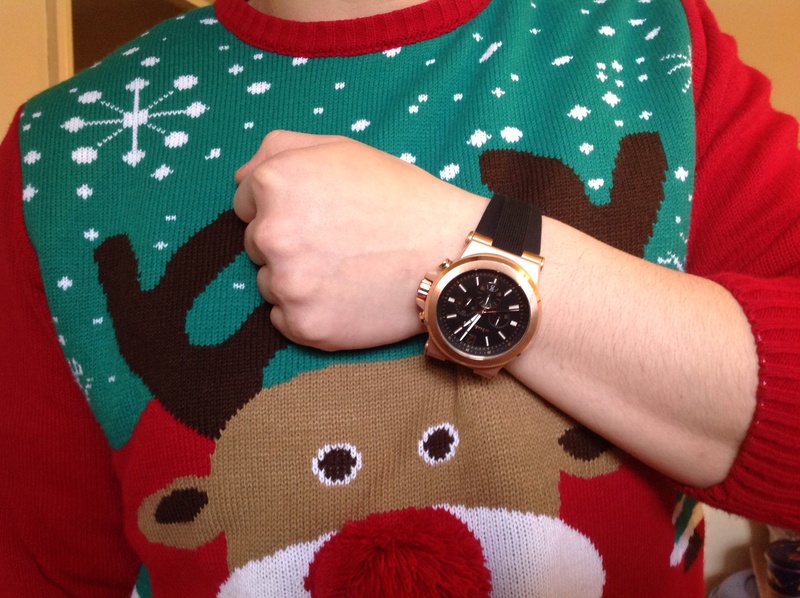 The rose gold colour against the black strap really sets the watch off. Well worth the money. The watch was delivered on time,its exactly what it says on the website. Loved it and its beautiful. Absolutely chuffed with this watch. It was slightly larger than I thought but it suited the watch style. It came so quickly - I would recommend the watch shop online to anyone. Gorgeous mens watch I purchased as a gift and is being enjoyed by my boyfriend who is the envy of his office! Perfectly packaged in a lovely MK brown watch box, definitely a great purchase and excellent value for money. very nice and comfortable to wear. Totally stand out for both formal and casual wear. Very impressed with the watch when it arrived it looks and feels more than what i paid for it i would recommend Watch Shop to anyone. 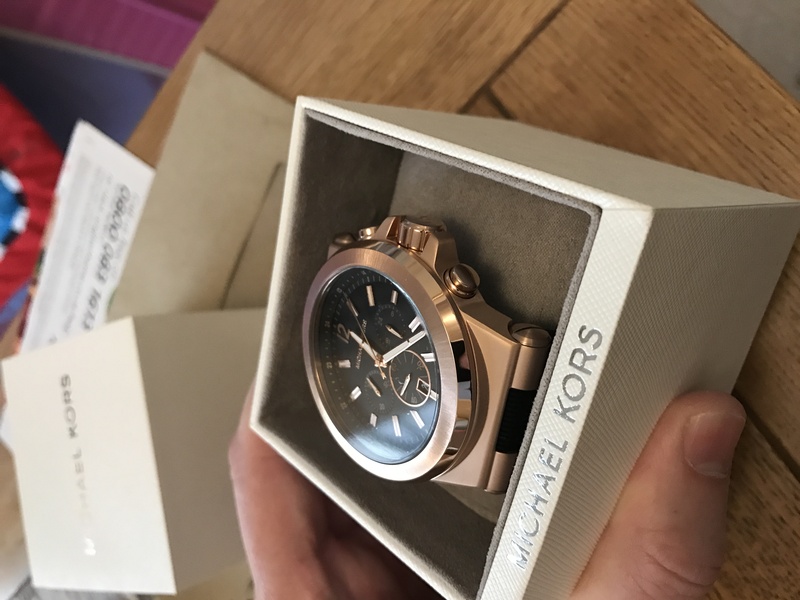 I received the michael kors watch in a solid brown leather box perfect way to give to my boyfriend for his 21st without having to wrap it up! The watch is gorgeous.. so striking with the rose gold face that bounces off the black rubber strap.. it looks dear.. feels dear and looks stunning on his wrist. My boyfriend said its the most comfiest watch hes ever worn n couldnt be happier with the purchase. Its definitely one of the best buys Ive ever bought at such an affordable price.. you just cant go wrong. Buy buy buy today! I was looking for a watch similar to this for some time. And I came across this watch on google and saw the price and it was so much cheaper than I originally had budgeted. It is worth every penny. it also looks great on my hand and the weight and size make the watch feel much more than I paid for. Love this watch, quite a heavy chunky watch, worth the money, the black strap really shows off the rose gold edge of the face and clasp. I would definatly recommend this watch. Watch looks very massive. Although men's watches, wear them my girlfriend. Watch for a good price and good quality.